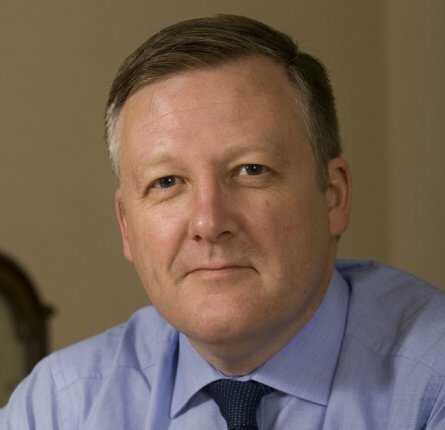 Kevan Jones is the Labour Member of Parliament for North Durham. Born in Nottinghamshire in 1964, son of a miner, he went to comprehensive school in Worksop and graduated in government and public policy at Newcastle Polytechnic and put down strong roots in the North East. Kevan was parliamentary assistant to Nick Brown MP for four years, then political officer for the GMB, rising to be regional organiser and finally senior national organiser in 1999. During his time at the GMB Kevan led the union’s campaign for compensation for the industrial victims of asbestos. He helped to re-establish the Northern Region Labour Party, and chaired it for two years. During the 1997 General Election Kevan was campaign co-ordinator in Stockton South, when Labour regained the seat with a massive swing. Between 1990 and 2001 Kevan served as a councillor on Newcastle City Council, Cabinet member for development, Chief Whip and committee chairman on development and transport and public health. In 2001 Kevan was elected Member of Parliament for North Durham. During his first parliament he served as a member of the Defence Select Committee and also succeeded in getting his own Private Member’s Bill on to the statute book, to prevent big stores from opening on Christmas Day. Kevan also campaigned on behalf of people who had had coal health compensation deducted by unscrupulous claims handlers. This led the Government to introduce the Compensation Bill in 2006, which regulates claims handling firms. After the 2005 General Election Kevan was elected by his fellow Labour MPs to the Labour Party Parliamentary Committee, and was re-appointed to serve as a member of the Defence Select Committee and sat on the Armed Forces Bill Select Committee in 2006. From October 2008 until May 2010, Kevan served as Parliamentary Under Secretary of State for Defence, and Minister for Veterans. He served as Shadow Minister for the Armed Forces between May 2010 and January 2016. Kevan is currently Chair of the All-Party Groups on Cardiac Risk in the Young and Ship-building, and is Co-Vice Chair of the United Arab Emirates All-Party Group. His main policy interests are mental health, regeneration and defence. Kevan served as a Commonwealth War Graves Commissioner between October 2010 and 2018 and as a Trustee of the Commonwealth War Graves Foundation since 2018. In 2017, Kevan became a member of the Intelligence and Security Committee and he was appointed to the Privy Council on 24 April 2018. Bottle of HoC Whisky to Oxhill Central Workingmen’s Club F.C. Bottle of House of Commons whisky for Northern TUC Annual Dinner 2013 – proceeds of raffle to Haiti & Cuban Doctors Medical Appeal. Co. Durham Foundation Grassroots Fund £1200 p.a. You can view the Register of Members’ Interests by following the link below. Kevan Jones is not responsible for the content of any externally linked websites.